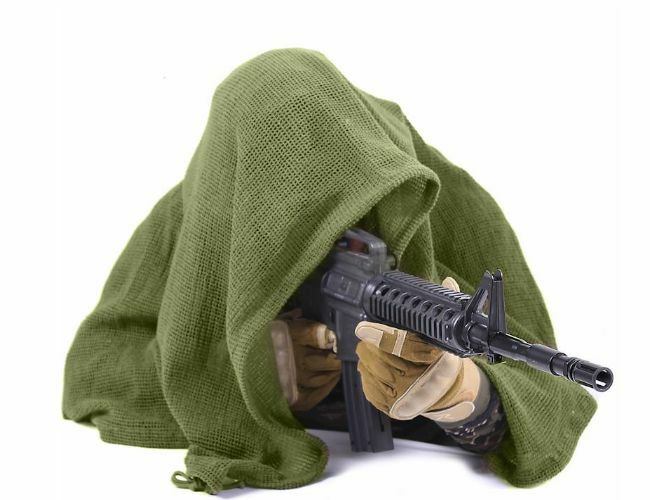 The Airsoft Sniper Veil gives perfect concealment for a sniper and their gun. The veil measures 36" x 46" with a pull cord running along all 4 sides so that is can be adjusted any way you want. There is also a cord loop on each corner this will allow you to use the veil as a hammock for keeping gear in and off the ground.This garment can be worn on the body or kit and can be used as a wrap around for warm.